Over the last couple of weeks, official photos of many of 2017’s sets have come to light: Creator, Lego® Technic (celebrating 40 Years), Elves, DC Superhero Girls, City, Disney, Marvel Super Heroes, Nexo Knights, Architecture, Star Wars, and LEGO Batman movie. I have lost count of the number of reveals that have occurred. If you don’t like spoilers, look away now. There has been a steady reduction in the number of unknown unknowns, with an increase in the known knowns, and clarification as to the nature of the known unknowns. 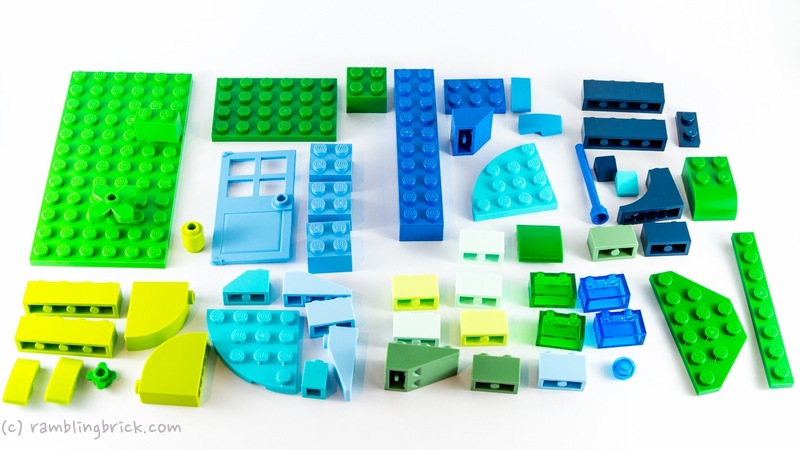 The LEGO® Creator Expert 10255 Modular Assembly Square has so many great new pieces. LEGO® Friends is no longer restricted to the bright pastel palette, and some more traditional colours are coming into play in 41311 Heartlake Pizzeria. There are 3 male minidolls, and 6 puppies to add to the collection in the sets revealed so far for 2017. LEGO® DC Super Hero Girls will add a some additional heroism, and villianism(?) to our minidoll collections. These are the things that have made ME look up and take notice. Many new sets have been previewed on other LEGO® News Websites lately. What has grabbed your attention? And what other treats may there be to celebrate to 10th anniversary of ‘the really cool sets catering for AFOLs’ such as the first modular building sets, 10181 Eiffel Tower, 10182 Hobby Trains and of course 10179 Ultimate Collectors Millennium Falcon. I’m sure there is much left for us to see. Today I am looking at 10702 – Lego Creative Building Set. Whoa… lets look at that word again: Creative. That’s like ‘building without a net.’ It was purchased on special, $29.99, rather than the standard $39.99: 25% off. It contains over 570 pieces in 41 colours. That was around 7 cents per piece; 73 cents per colour, 13.9 pieces per colour. Forty one colours? you’d think they were ice cream flavours. The box is shaped like an old school toy box, made of corrugated cardboard and contains several transparent poly bags, filled according to color family.